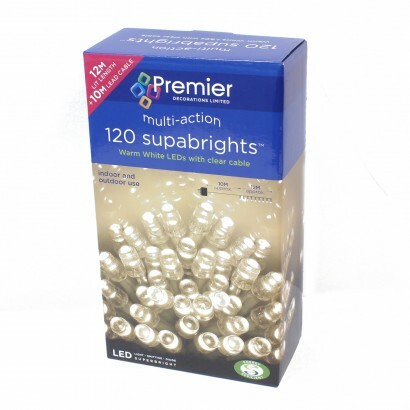 Give a magical twinkle to your home with warm white supabright string lights. 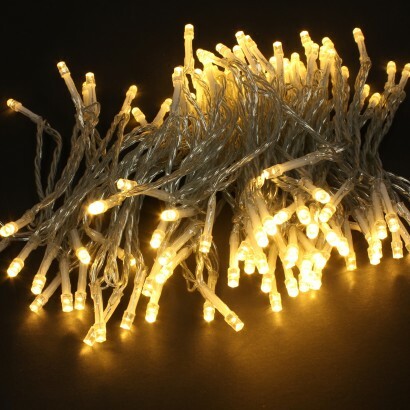 Suitable for use either indoors or outdoors, these decorative LED fairy lights brighten up your space with a warm white glow that shines through multi functions including flashing and static with memory so that they switch back on to the function that they were previously set. 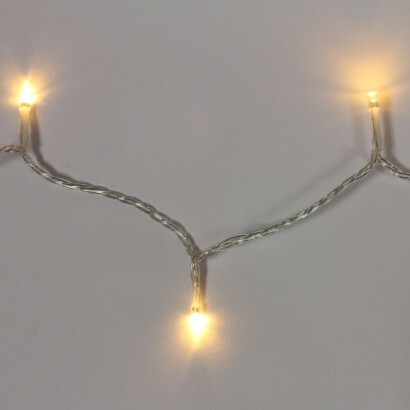 With a run of 120 LEDs on a 12m clear cable and a generous 10m lead from the plug to the first light, these multi action string lights are all you need to add an enchanting glow night after night in your home or garden. So pleased. The lights were exactly as described, and wanted. To put the icing on the cake, they even arrived earlier than expected. 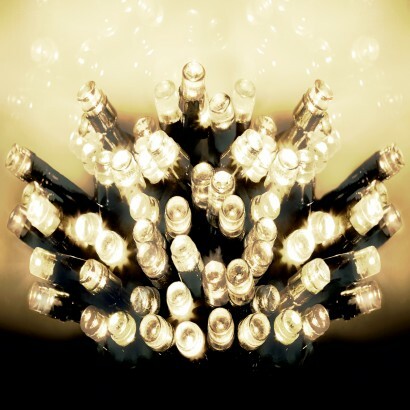 A ' glowing ' reference..
very good fast service, no complaints what so ever . Reviewed 30 August 2016 by Dave G.
Brilliant. Did just what we wanted. Lit a path for our grand children, who were camping in the garden, from the tents to the house. Very good. D.G.